excess arm fatresulting in more shapely arms. As age and gravity take effect, the back and upper arms tend to become flabby and sag. Liposuction of the arms is almost exclusively a procedure for women. Most women realize modest results with exercise targeting their arms, but exercise does not reduce the volume of fat located on the arms. Dr. David Amron explains that unfortunately the arms are genetically prone to fat. For this reason, Dr. David Amron’s approach is to precisely reduce the amount of the fat in the area and tighten the skin with precise liposuction sculpting technique. Using this precise technique, the posterior upper arms stay tighter and more defined as time passes. This is important not only in the short term, but even more so in the long term, because opting for an arm lift instead almost always leads to an unattractive scar. Women that are bothered by the appearance of their arms usually have concerns about their back (bra rolls) as well, which will be addressed during your consultation. Dr. Amron will discuss your overall upper body sculpting goals and recommend a customized body-shaping plan that fits you. Achieve more shapely arms in 30 minutes! What is the Aesthetic Goal for Arm Shaping? Often the aesthetic goal of arm liposuction is for a woman to feel her arms are more shapely, toned, and attractive in wearing short sleeve clothing. Not every person is a good candidate. But with appropriate patient selection and precise liposuction technique, the results can be most gratifying. Dr. David Amron encourages women to do arm liposuction earlier, as opposed to later in their lives, if there is disproportion in this area. Women before the age 40 should investigate liposuction for their arms. What Results Can I Expect from Arm Liposuction? 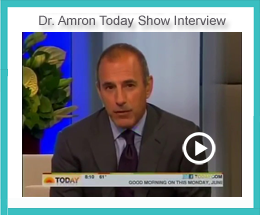 Dr. David Amron thoroughly explains to his patients what “realistic” results they can expect from their liposuction procedure. You can see Dr. Amron’s exceptional results by viewing the before and after photos of actual patients. Cost is an important consideration when deciding on a cosmetic specialist to perform your arm liposuction procedure. However, it shouldn’t be your primary consideration. At Expert Liposuction, the fees are based on Dr. Amron’s surgical fee and the operating room fee is based on how long the surgery takes based on your individual liposuction procedure. The expertise and skill of your liposuction specialist is the most important consideration. 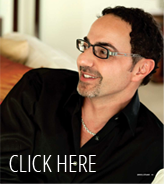 Dr. Amron’s goal is to deliver results for all his patients – resulting in very satisfied patients! A less than optimal result is far too costly in many ways! Our Patient Care Coordinator will thoroughly review the cost of your liposuction procedure(s) after your consultation with Dr. David Amron. Review our Financing/Payment Plans. Dr. David Amron is pleased to offer patients a consultation. Your first step to the body or shape you desire is to schedule a consultation to discuss if you are a good candidate for liposuction. Dr. David Amron will discuss your aesthetic goals for body shaping and your suitability as a candidate for liposuction or alternative treatment options. 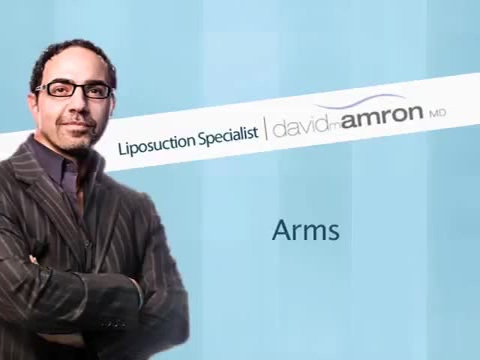 Dr. David Amron -Liposuction specialist… For a perfectly contoured you!